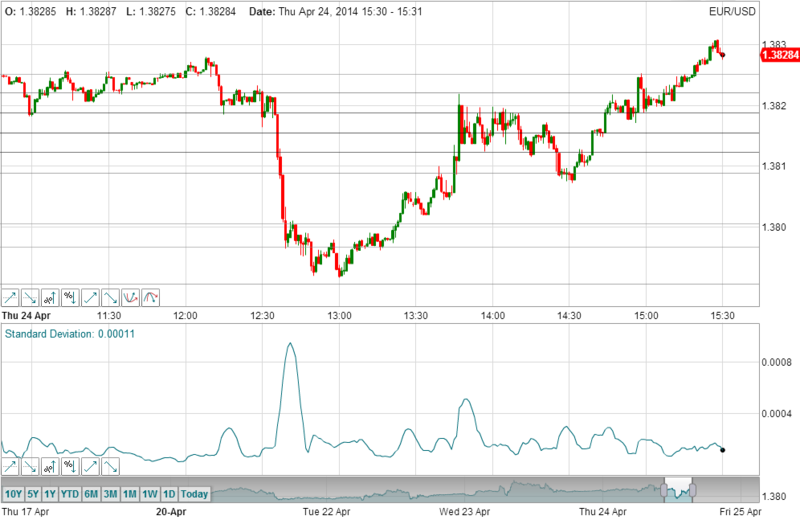 The Standard Deviation is based on the range of price movement relative to the Moving Average. The number of periods associated with the Standard Deviation, are used to calculate the moving average, and the number of deviations is used to calculate the Standard Deviation around the moving average. The prices at each interval for the defined number of periods are used to determine the deviation values. One standard deviation represents 68.2% of the range of price movement relative to the moving average; two standard deviations represent 95.4% of the price movement relative to the moving average and therefore only excludes the extreme highs and lows during the period; three standard deviations represents 99.6% of the price movement. 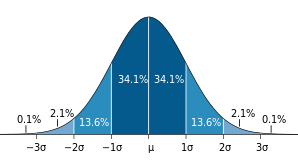 The Standard Deviation chart is calculated based on 1 Standard Deviation. Multiply the Standard Deviation by 2 or 3 to calculate it at vary deviations. 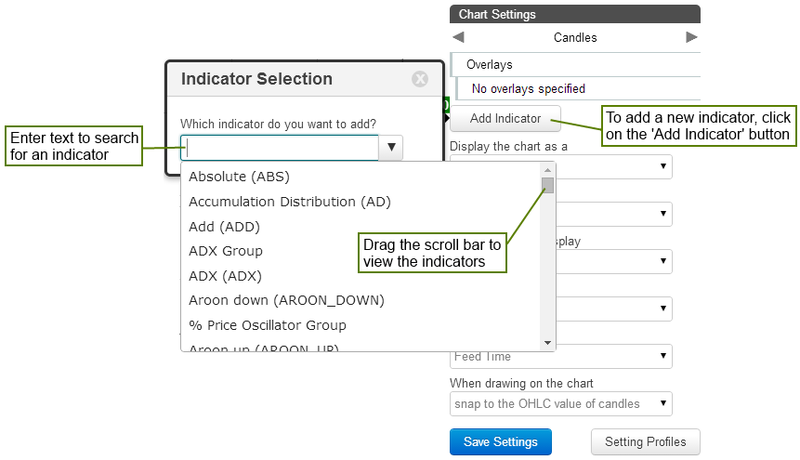 After adding the Standard Deviation indicator, within the chart settings, click on it to set the parameters and change colours.